First, note that the proposed stadiums remove ZERO housing. In fact, the projects add 3000 units, and, of course, jobs in construction, the hotels, restaurants, offices, etc. In any event, rents are rising everywhere in LA, whether your are white, Hispanic, Asian, black or mixed (which is what Inglewood is; it's only about 40 percent black). Moreover, Inglewood is quite small compared to LA and the dozen other cities around it and the stadiums are right at the edge of the city. Move a few blocks into Lennox, Hawthorne or other equally black and Hispanic areas of South Central and rents are not affected by the stadium. As the mayor asked, why does a black governed city have to add more welfare housing, slow development, enact rent freezes, etc.? Why not go after developing white cities and forbid them from having any development? Maybe because it's OK for jobs and business profits to go up in white neighborhoods as investment and jobs pour in but black cities have to stay poor and black? "Don't mess with the Bull"
are they still going to hang on these sections (upper ring) or is this render simply too old? yes they are still there! Isn't this the sections you highlighted in the rendering? Hey everybody here are the HD Cams for the start of the workweek 4/15/19! Gigapixel is from today, the other two are from Saturday. Enjoy! The swooping shell that will support the roof over Inglewood’s NFL stadium is complete, stadium owner the Los Angeles Stadium and Entertainment District at Hollywood Park announced Monday. 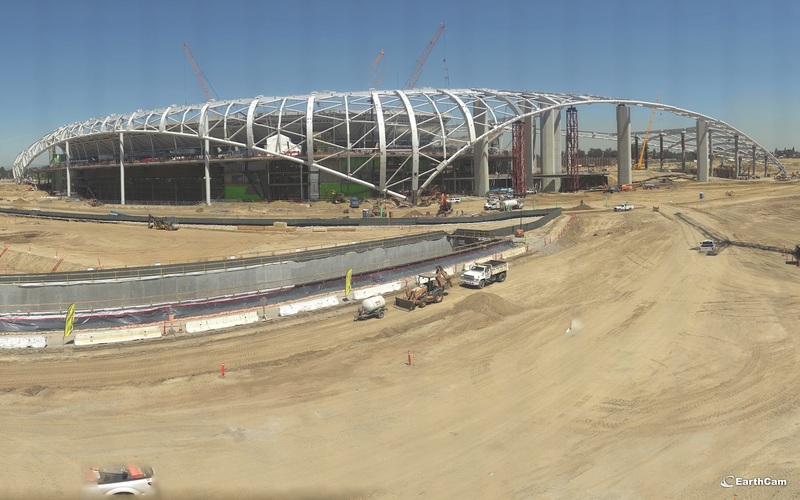 The future home of the Los Angeles Rams and Chargers hit another milestone: The stadium is now more than two-thirds finished. The newly complete shell atop the venue will support the other two components of the stadium’s roof: a cable net system and the clear plastic cover, which will be made of a transparent material called ETFE. 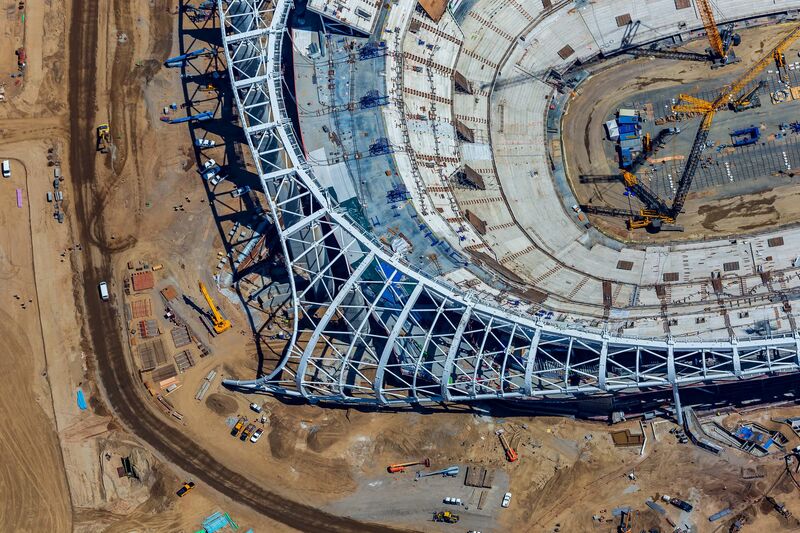 When the stadium opens, a 70,000-square-foot Oculus display will hang from the roof. 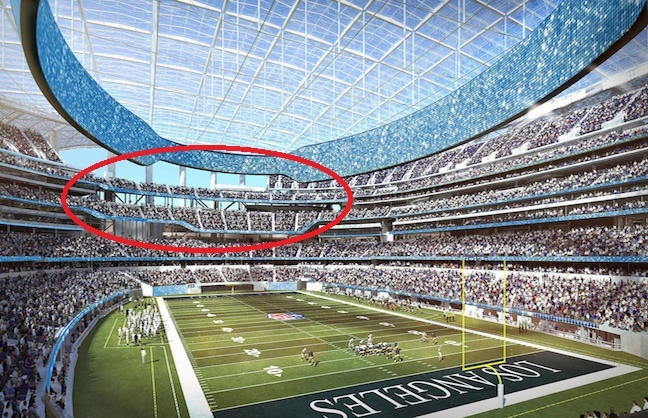 The dual-sided display will be the first of its kind, according to the Los Angeles Stadium and Entertainment District. 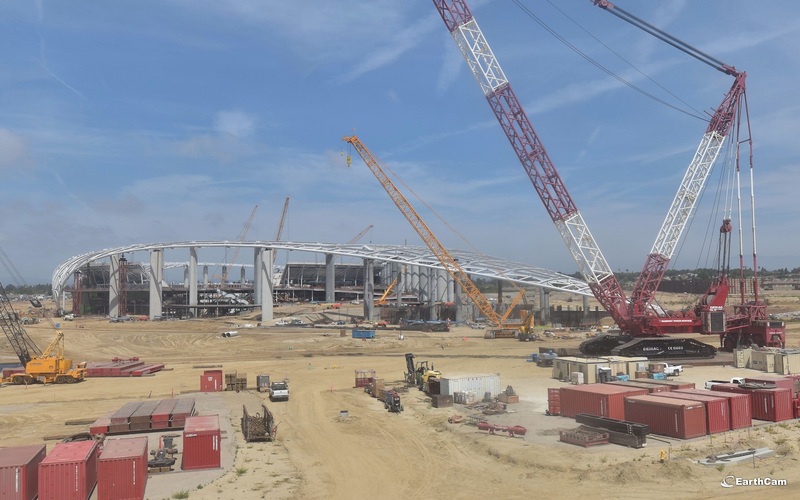 The $2.6 billion stadium was originally slated to be complete in time for the 2019 football season, but a rainy year pushed the opening date. The venue is on track to open in the summer of 2020. 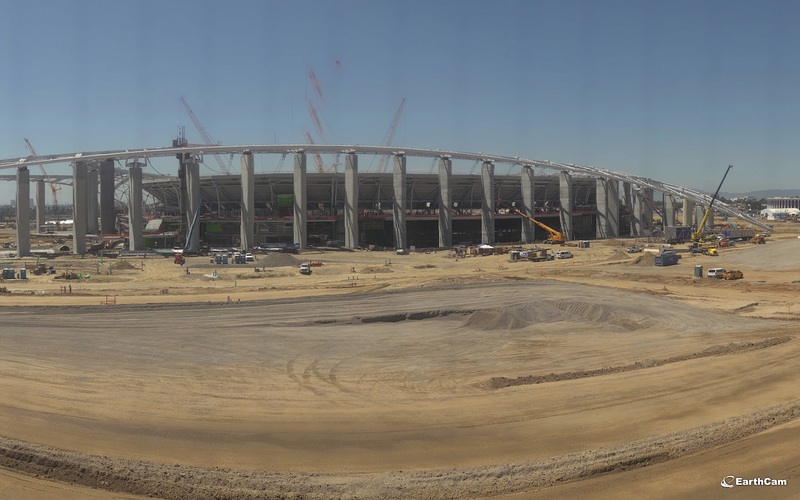 There are 3,000 workers on site daily, working to ensure the deadline is met, according to the Los Angeles Stadium and Entertainment District. SUMMER OLYMPICS - 2028 - "FOLLOW THE SUN"
Yeah, but then you read complaints about gentrification, housing, etc., and you feel less jealous. I think the diplomatic course is to invite Butts to events that are strictly stadium or city related. But I would invite Garcetti to anything Olympics or WC or otherwise "cross-border". The Rams and Chargers can make their own decisions on invitations. That's because you aren't watching it from the lower bowls perspective, here it looks more like it. My safety word is "Keep Going."